For the uninitiated: what exactly is a tax treaty or double taxation agreement? Tax treaties aim to prevent double taxation of income earned in one country by a (tax) resident of another country. They also make clear (which country has) the taxing rights on several types of income arising from the cross-border economic activities between two countries. Amongst other provisions, tax treaties often provide for lower withholding tax rates on cross-border payments of dividends, interest and royalties, and are often an essential tool to encourage and facilitate trade and investment between the partnering countries. Below we have taken a look at some – but not all – of the key provisions in the DTA. The current Lao tax Law, the Revised Tax Law No. 70/NA, dated 15 December 2015, does not contain any definition of ‘permanent establishment’. Combined with the broad profit tax provisions within the Lao tax law, this often proves difficult for taxpayers trying to determine if any profit tax obligations exist in Laos. The DTA assists in this regard by helping to clarify the taxation rights of business profits through determination of permanent establishment. 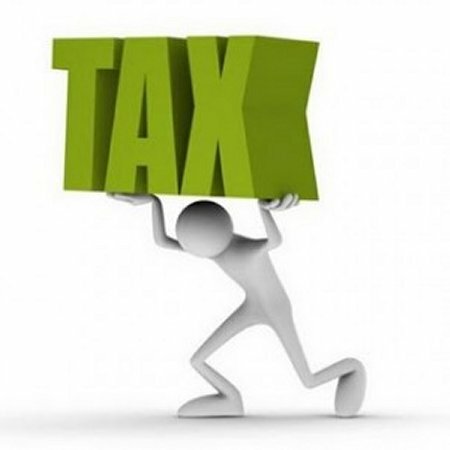 This is important because, in very simple terms, the profits of an enterprise may only be taxed in its home country unless it carries on business in the other country through a permanent establishment, in which case that other country may tax any profits that are attributable to that permanent establishment. While quite subjective, permanent establishments are generally defined as ‘a fixed place of business through which a business is (wholly or partly) carried on’ – and this DTA is no exception. A permanent establishment, therefore, includes – but is not limited to – a place of management, a branch, an office, a factory, a workshop, etc. the furnishing of services, including consultancy services, by an enterprise [of Singapore or Lao PDR] through employees or other personnel engaged by the enterprise for such purpose, but only where activities of that nature continue (for the same or a connected project) within the other [country] for a period or periods aggregating more than 300 days within any 12-month period. A Singaporean engineering company supervises the overall construction of a hydropower project in Lao PDR; the expected construction period is five years. The Singaporean engineering company will be considered to have a permanent establishment in Lao PDR (and thus its ‘business profits’ may be taxed in Lao PDR). A Singaporean consulting firm outsourced the services of its geology experts to a mineral exploration project in Lao PDR for seven months from January 2017 to July 2017. The Singapore consulting firm will not be considered to have a permanent establishment in Lao PDR (and thus its ‘business profits’ may not be taxed in Lao PDR). Without going into much detail, the DTA has the potential to provide tax relief where employees are required to exercise their duties outside their resident country. Generally speaking, an individual’s employment income shall be taxable only in their resident country unless the employment is exercised in the other country (the source country) – in which case, the income derived from that employment may be taxed in the source country. However, subject to a couple of other conditions, the employee may avoid taxation in that other/source country where the individual is present in the country for less than a total of 183 days (six months) in any 12-month period. Gains from the [sale] of any property other than that referred to in paragraphs 1, 2 and 3 [of Article 13] shall be taxable only in the [country] of which the [seller] is a [tax] resident. With reference to the above, paragraphs 1, 2 and 3 relate to gains on the sale of immovable property, movable property forming part of the business property of a permanent establishment or fixed base, and ‘international transportation vehicles’ (e.g. ships and aircraft). Therefore, Article 13(4) provides that (capital) gains on share sales may only be taxed in the country where the seller/transferor is a (tax) resident. In other words, if a Singaporean entity sells shares in a Lao company, the (capital) gain may only be taxed in Singapore, thus avoiding the 10% ‘capital gains tax’ Lao PDR levies on such transactions. The kicker: Singapore does not tax capital gains. 1 ‘Effective’ rate; takes into account the ‘profit deeming’ provisions of the tax regulations. 2 Recipient must be a financial institution (insurance companies included); the rate is 15% in all other cases. 3 Applicable where the source country is Lao PDR; the rate is 10% if the source country is China. 4 Recipient must be a company directly holding at least 10% of the shares; the rate is 10% in all other cases. 6 Recipient must be a company directly holding at least 10% of the shares; the rate is 15% in all other cases. We have only ‘scratched the surface’ of this DTA; there are many more aspects that we have not covered and tax treaties are complex pieces of international tax law that interact with domestic tax laws. Furthermore, the circumstances of tax residents and any cross-border activity needs to be carefully considered in its own right before applying provisions of the DTA: two seemingly very similar transactions may not have the same outcome under a tax treaty. Please don’t hesitate to contact Arion Legal at enquiries@arionlegal.com should you require assistance with interpreting tax treaties and how they apply to you, or should you require any legal and tax assistance in general.